When the elements change, Terracea is your constant. Terracea creates jackets that strike an optimal balance of advanced waterproof, windproof and moisture management properties; superb durability; lightweight all-day comfort; and a classic, streamlined style. We use a mix of high-end components throughout our outer layer jackets and carry them in a variety of styles and colors. No more sacrificing looks and function for performance! We evaluated thousands of technical fabrics and components in order to determine the ideal mix of materials for our jackets. 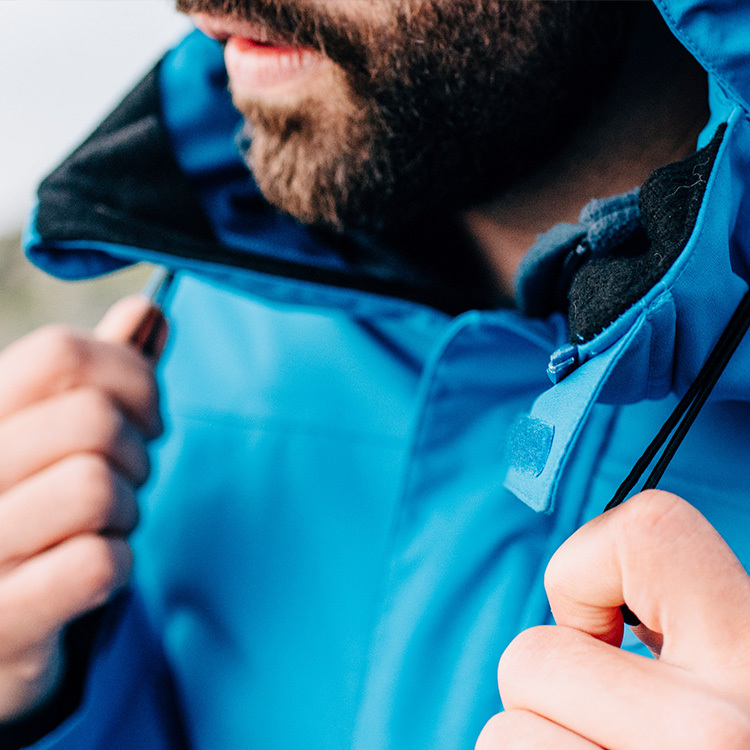 Striking the optimal balance of advanced moisture management properties, superb durability and lightweight comfort, our jackets are built to conquer all the elements. 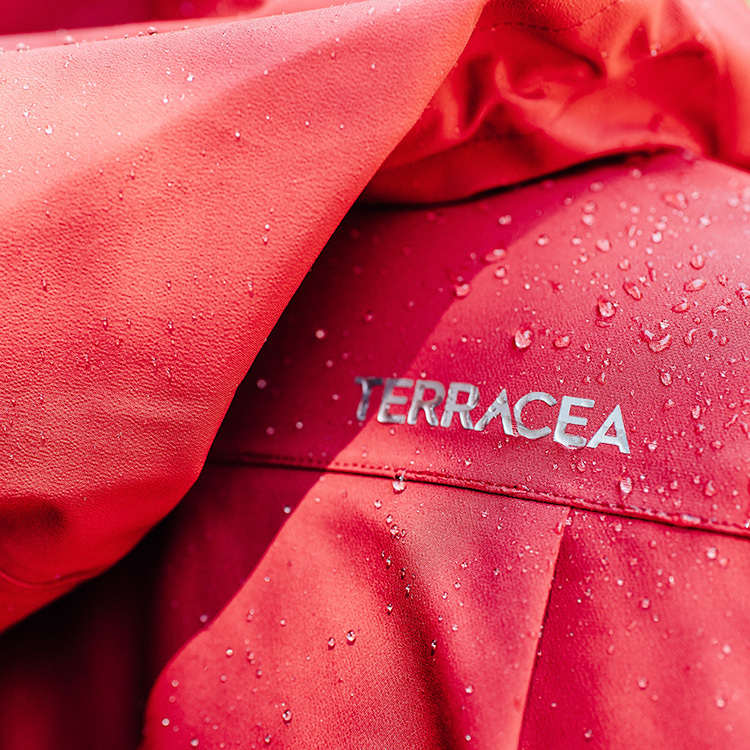 Terracea shell jackets are fully waterproof and windproof while offering exceptional air permeability. Insulated shells are rated at 20K/35K and non-insulated shells are rated at 20K/34K. Fully taped seams, YKK AquaGuard water-resistant zippers and a DWR finish will keep you cool and dry. Hailing from the Northeast, we are no strangers to frigid, windy winter days. We carefully selected insulation that would not only keep us toasty in the bitter cold, but that was also friendly to the environment and socially responsible. Our insulated shells are filled with pillow soft synthetic insulation comprised of 100% recycled polyester fibers. It is eco-friendly and because it is synthetic, it naturally repels water. On top of all that, our insulation contains no animal down or by-products. In fact, the full line of Terracea outerwear is completely animal-free!